Welcome to the week of December 7, 2014! At the end of the first week of December, the time for Christmas shopping is reaching its most stressful. That means, of course, that we're avoiding the shops at all costs and settling back with some good books. We suggest you do the same! Isabella Adams has tasted desire—and paid the price. After five long years away from England, Lord James Crawford has returned to find little has changed—aside from his aunt’s new companion. James cannot equate the reserved Miss Adams with the wicked rumours surrounding her—but he can’t deny he’d like to look more closely. Soon, the attraction between them becomes undeniable…and giving into temptation has never tasted so sweet. But when the secrets of the past are revealed, will Isabella accept her lord’s most improper proposal? A Most Improper Proposal by Molly Ann Wishlade is a new historical romance from Carina UK, released December 4, 2014 and available from Amazon. 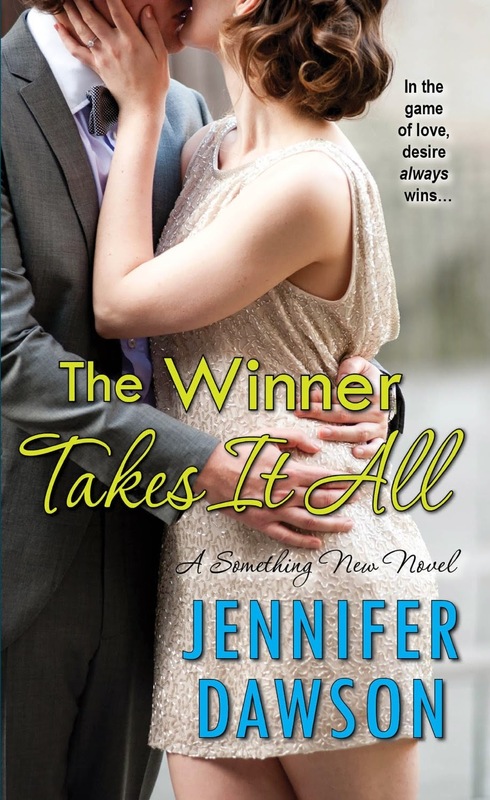 The Winner Takes It All by Jennifer Dawson is a new contemporary romance from Zebra Books, released December 2, 2014 and available from Amazon. Full Throttle by Julie Ann Walker is a new romantic suspense from Sourcebooks Casablanca, released December 2, 2014 and available from Amazon.